This is a BRAND NEW polybag set of LEGO® Belville 5977 Travel Friends (In-flight) from 2001. This polybag is still factory sealed and in very good condition. 17 pieces and no minifigures©. 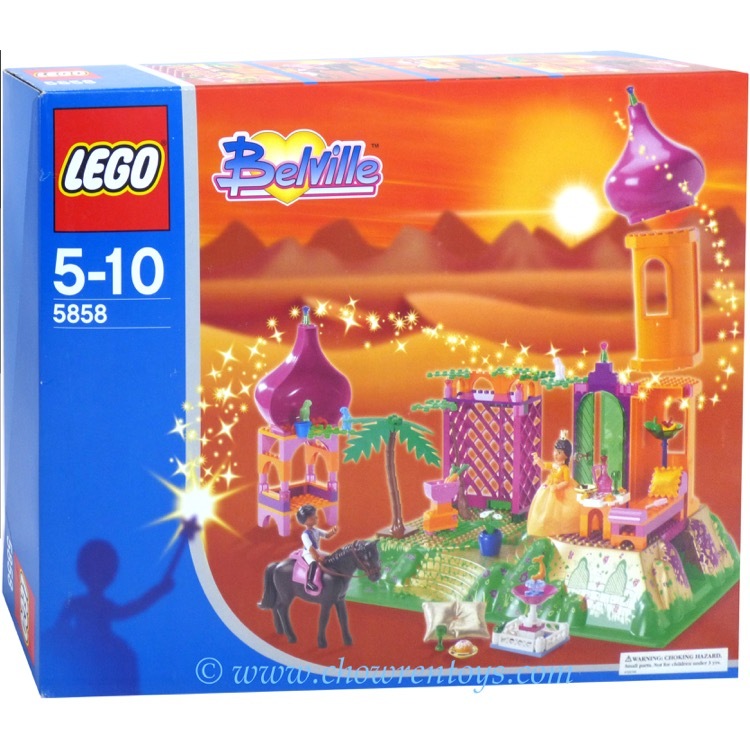 This is a BRAND NEW set of LEGO® Belville 5858 The Golden Palace from 2003. This set is still factory sealed, however the box you receive may have one or more of the following conditions; small area of sticker damage, wrinkles, creases, dents and shelf wear. 173 pieces and 2 minifigures©.